Microgaming transports us to the felt Blackjack tables of Europe for its Premier Blackjack Multihand. We can play against the dealer with up to five hands, testing our strategy and Blackjack nouse to the hilt. Or we can choose to play single hands and go mano-a-mano. Needless to say, Microgaming has made it simple for us to do either with its trademark excellence in game design, and flit between the two with ease if the mood takes us. Fancy a change of scenery? We can personalise our game completely, and even switch to other variants in Microgaming’s Premier series. Going head-to-head with the dealer means our game-space needs to be us facing down the House. 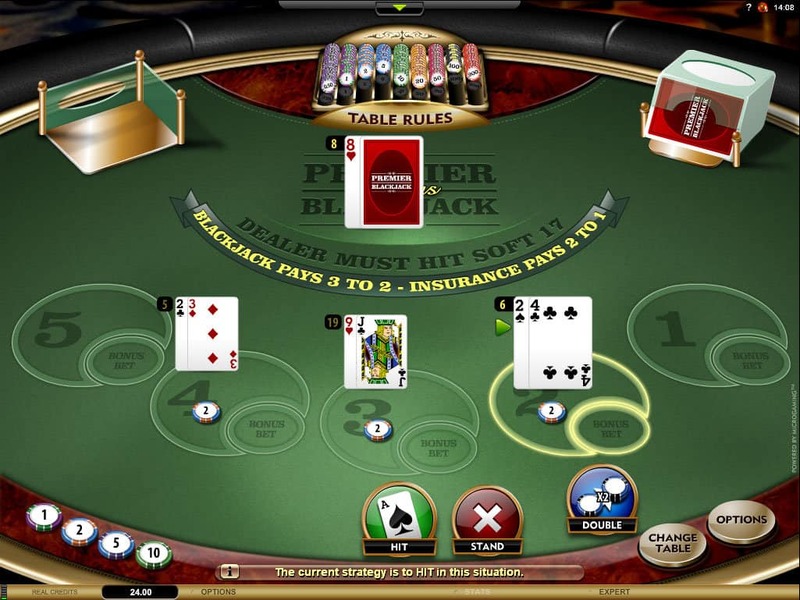 We know this before we load any non-live Blackjack game, so the differences between blackjack variants come in the little nuances between tables, backed up by the level of graphics. And the level of graphics on show here are worthy of its Premier title. The cards whiz from the shoe on our right to our seats, and then from our seats across to the burned shoe. Depending on the table on which we choose to play (we have a choice of classic green felt, classic red, starlight blue or deep red - easily switchable from our main game) depends on extra in-game graphics. Watch out for the star lights zooming across the felt when we play on the starlight blue table. Pizzaz. Not only can we swap the kind of table we play at, but we also have a number of other customisable in-game features. Such as the type of cards we play with, or the sounds that accompany our game-play. But, as ever, these switchable feature may be sweeteners, but we are still looking for an easy betting interface and swift game-play. Microgaming’s Premier Blackjack Multihand has both of those things in spades. Our chip stack sits patiently to the bottom left of our screen, with our game options on the opposite side. Payouts are as in classic Blackjack - 3:2 for Blackjack, 2:1 for insurance wins. 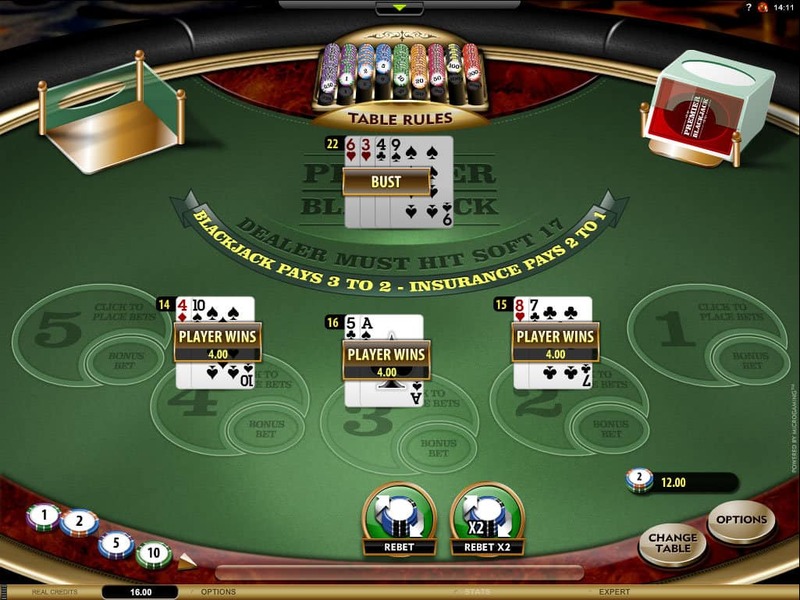 The table rules are situated at the top of our screen and can be refreshed by hovering our cursors over it on desktop or clicking the Table Rules in mobile casino game-play. One interesting twist is the multiple cards to split aces rule, which gives us the option for more than a single card when splitting a pair of aces. Handy. 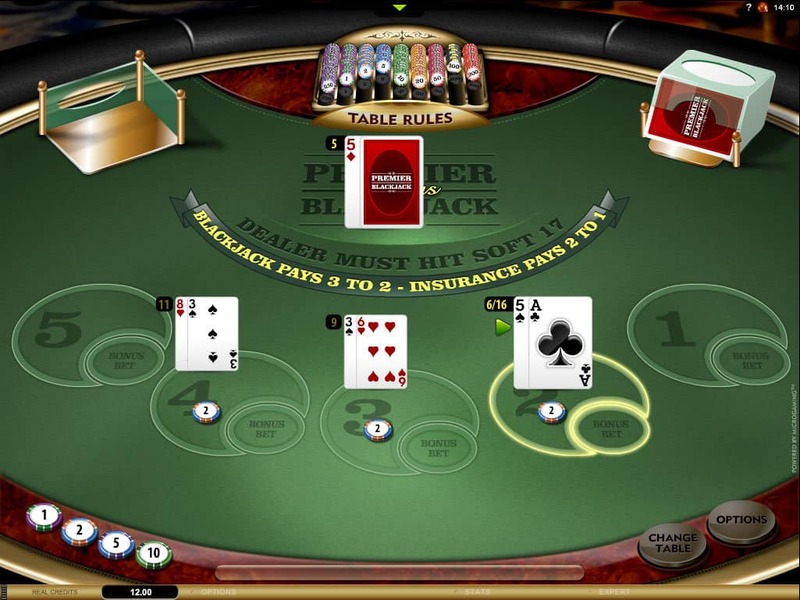 It’s easy to see why Microgaming released this Blackjack game as part of its Premier series. The graphics are sumptuous and our gaming options aplenty, all backed up by the kind of smooth game-play that we would expect from a professional Live Blackjack dealer. 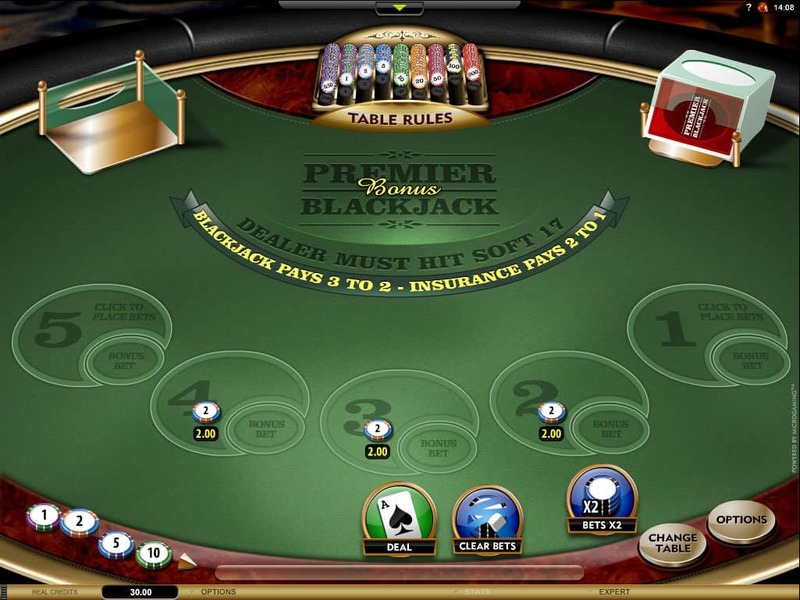 What this Premier Blackjack game has over its Live Blackjack counterpart is the fact that here we are not only guaranteed to find one seat, but seats aplenty.